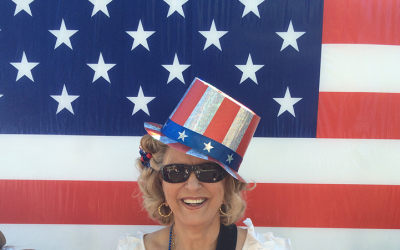 Santa Clarita Magazine is proud to feature the SCV Senior Center’s Celebrity Waiter event. The cover stars are Brian Koegle, Julie Sturgeon, Kevin McDonald, Michel Delcros, Nola Aronson, Alexander Hafizi, Tracy Hauser and Amanda Benson. The SCV Senior Center and Co-Chairs Amanda Benson and Julie Sturgeon are so excited to announce we are sold out of tables for our Celebrity Waiter Dinner at 5:00pm on Saturday, February 23, 2019 at the Sand Canyon Country Club. 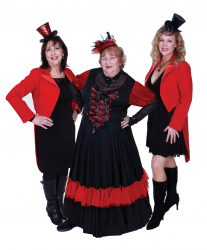 Our theme “The Greatest Show in the SCV” has been a very popular one as each table is getting ready to decorate and dress the part. Although we are sold out of actual tables, you can remotely join in on all of the fun by buying a virtual table. 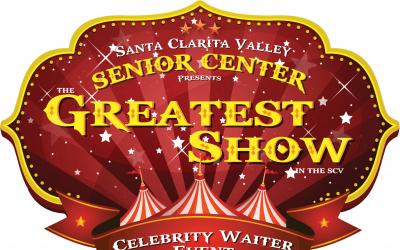 “Celebrity” waiters or waiter teams have committed to serve at this year’s SCV Senior Center Celebrity Waiter Dinner. Some have been recruited to serve specific sponsored tables, and others have volunteered to serve at any tables which still need waiters. Some come to the event in teams and others will serve as individuals. Waiters currently on the roster include Alan Ferdman, Amy Daniels, Andrew Taban, Erika Bird, Irmgard Quint, Josh Rivas, Julie Susdorf, Kirby Daner, Laura Kirchhoff, Linda Davies, Lia Odom, Michel Delcros, Miriam Robles, Nicole Stinson, Patrice and Ken Rifkind, Rob Balwin, Shauna Criner, Steve Portaro, Tania Mulry, Tom Lund and Yolie Haramia. Sponsors currently on the “watch list” roster include Advanced Audiology, Cobalt Realty Group – Tracy Hauser, Santa Clarita Concrete, Princess Cruises, Santa Clarita Magazine, The City of Santa Clarita, Spirit Holdings, Oakmont Senior Living, Five Point, Comfort Keepers, Julie Sturgeon, CPA, Visiting Angeles, Stay Green Inc., Poole Shaffery Attorneys at Law, Chiquita Canyon, LBW Insurance and Financial Services, Santa Clarita Rotary International, Henry Mayo Newhall Hospital, Owen Patterson Owen Personal Injury Law, College of the Canyons, Cherrie Brown & Zach McReynolds Next Home Real Estate, Bill and Kerry Thompson, and Russ and Barbara Cochran. The Live Auction Bidders will have an opportunity to explore a variety of items like: Princess Cruises Travel Certificate, An NCIS Television Show Set visit, Los Angeles Kings Tickets, A round of golf to Sand Canyon Country Club, Valencia Country Club and TPC of Valencia, Magic Castle VIP Tickets, Power lunches with all elected officials and local events, A week’s stay in Palm Springs, A week’s stay in Cabo San Lucas, Special Dinner Parties throughout town and so much more! In addition, there will be a silent auction with baskets donated from various individuals and throughout town. Funds raised will be used to help support the SCV Senior Center and building the New Senior Center. These funds are essential to the implementation of the Center’s mission: providing quality of life for seniors. To make this event as exciting and extravagant as we hope, we will need your help! The new Senior Center is scheduled to open in the Spring of 2019! 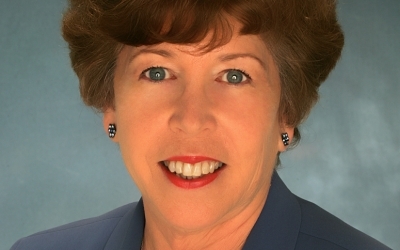 This new building will be a beacon of senior life in Santa Clarita. There are still opportunities for you to join hands with us in making this dream a reality. Call Jennifer at 661-259-9444 ext. 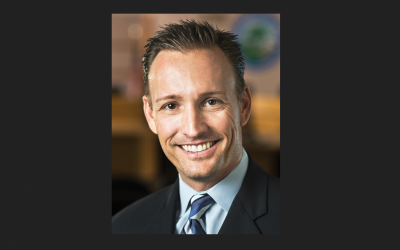 144 to discuss different opportunities to support the building and funding of the SCV Senior Center.